The DE1911U is built on an ultra lightweight frame made of aircraft grade aluminum alloy, and it features a 4140 high carbon steel slide and a rear sight adjustable for windage and elevation. Standard features include checkered front and back strap, double diamond checkered wood grips, and stainless steel hex screws. 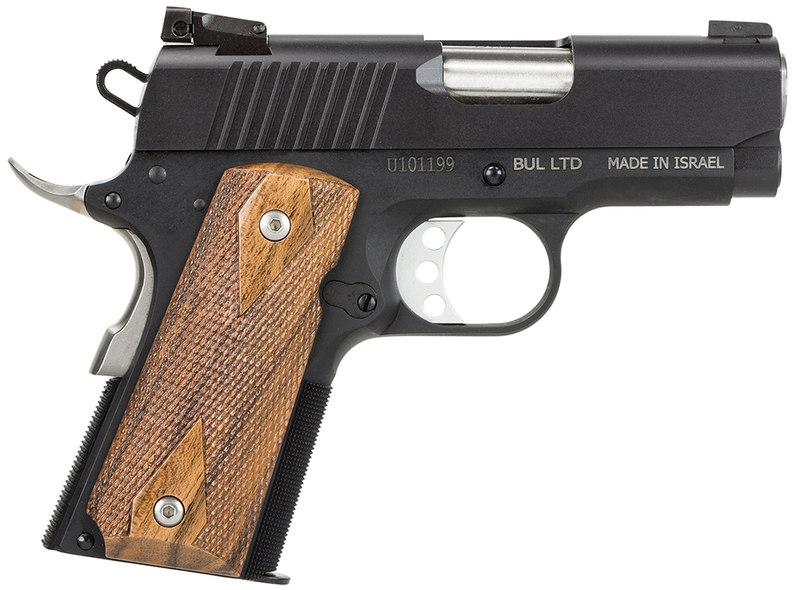 The DE1911U also has a high-rise beavertail safety, skeleton hammer, and an aluminum trigger. True to the earlier 1911 variants this model is a Series 70 configuration. Pistol comes standard with two 6 round magazines. Guns can only be shipped to a location within the USA that holds an FFL (Federal Firearms License) - this can be your local gun shop, pawn shop, sporting goods store, etc. Your local gun dealer will then handle the transfer of the firearm to you.